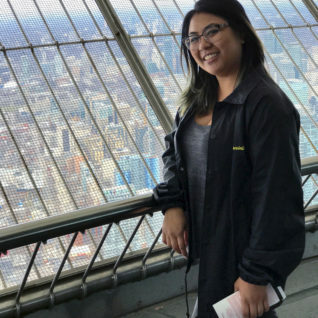 Trixy Arambulo wasn’t sure what she wanted to do when she first came to Contra Costa College. She’d been studying kinesiology at San Jose State University, but decided it wasn’t for her and moved back home to San Pablo. Inspired by friends who struggled with addiction and mental illness, Trixy decided to take a Health and Human Services course at CCC. She soon found out she wasn’t alone. In fact, most people she met had more direct experience than her. Trixy decided to do one or two certificates of accomplishment in the department. Then she decided to do more. She even became Secretary of the Health and Human Services Club for two consecutive semesters. Now, she’s graduating with Certificates of Accomplishment in Psychosocial Rehabilitation, Dual Diagnosis Screening and Substance Abuse Case Management, as well as a Certificate of Achievement and Associate’s Degree in Human Services. Her professors say Trixy was shy and withdrawn when she first arrived on campus. But today, she’s an active and important part of the CCC community. She’s also there for other students. In fact, Trixy says that one of her biggest regrets is not taking advantage of more of the available support when she first came to CCC. Trixy is about to transfer to California State University East Bay, where she plans to major in sociology. She’s happy to have a leg up on friends in bachelor’s and master’s programs that are just discovering things she learned getting her associate’s at CCC. “It definitely sets you apart from other students,” she says. But don’t just take her word for it.